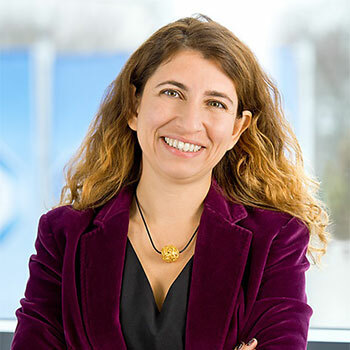 Asli Solmaz-Kaiser leads the product development and innovation activities globally within TÜV SÜD Product Service since January 2017. In her role she brings new processes and tools to foster innovation worldwide as well as supporting the implementation of different ideas. She joined the TÜV SÜD Group in 2014 as the head of the global business line electrical and electronics, where she managed the P&L. In addition, she has developed a number of new services in order to ensure the fit with customer needs. With over 12 years of business development in experience in technology and testing, inspection and certification companies, she brings extensive knowledge both from a product development and customer needs perspective. Ms. Solmaz-Kaiser has also acted in the jury for selection of start-ups for various innovation awards. Before joining the industry, she has completed her degree in Business at the University of Istanbul and holds a Masters in Business Administration from the University of Mannheim. CASE STUDY: From innovation to commercialisation: 5 tips to make it a success. CASE STUDY: R&D transformation: Re-fuelling the product innovation engine through innovation accelerator program. Benefits of an innovation accelerator program. How to generate ideas according to market needs, utilising latest digital technologies. Practical tools to turn innovative ideas into revenue generating products.